Lay summary: Laser light has been used to diagnose cancer of the skin and bowel and is rapidly becoming an established technique to help obtain a quick diagnosis during surgery. Knowledge that a lesion is cancerous aids the surgeon in deciding how aggressive surgery needs to be. A second recently developed method for analyzing tissue which is still being developed is mass spectrometry using the iKnife. Raman spectroscopy has been proven in multiple studies in mice and humans to accurately diagnose cancerous changes in tissue specimens taken from diseased brains and analysed using large laboratory based Raman microscopes. Brain tumours are often difficult to distinguish from normal brain tissue making their removal difficult. There is currently no satisfactory technique to visualise all major brain tumours during surgery. 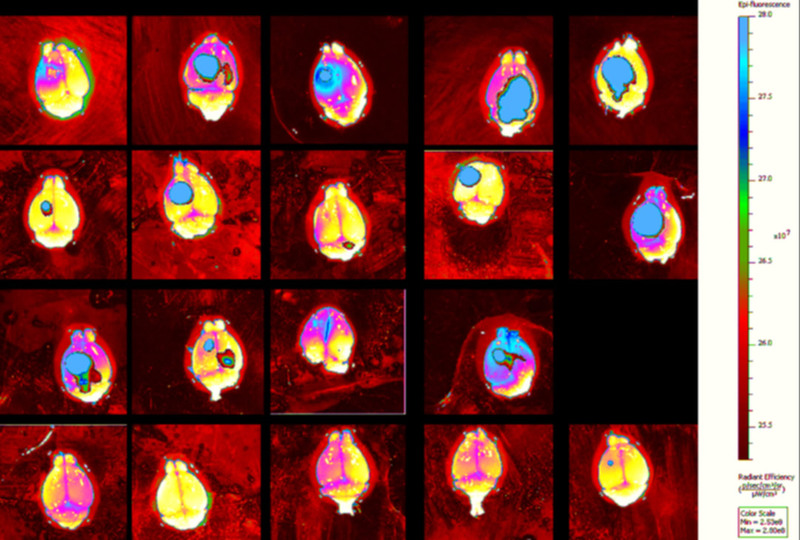 This project seeks to apply laser light methods in the diagnosis of brain tumours during surgery and to compare this method with mass spectrometry. The aim is to collect enough data from these 2 modalities to be able to diagnose, for the first time, tumour types and tumour boundaries quickly during surgery. The study involves recruiting patients about to undergo surgery for removal of superficially located brain tumours. During surgery the tumour will be sampled (up to 8 readings per patient) using laser and mass spectrometry in a grid-like coordinate system. The data will be compared with normal brain tissue. The aim is to develop a molecular fingerprint specific to each tumour. This in turn will allow the tumour boundary to be mapped to aid tumour removal.